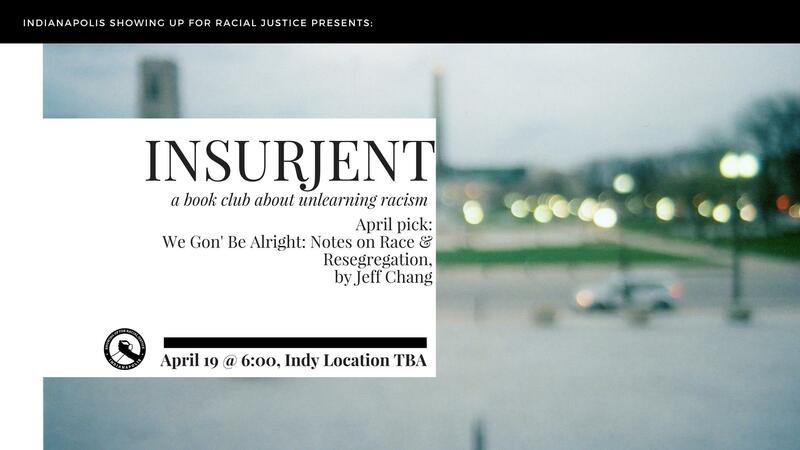 This month, we are reading Jeff Chang's We Gon' Be Alright: Notes on Race and Resegregation. Chang explores the rise and fall of the idea of “diversity,” the roots of student protest, changing ideas about Asian Americanness, and the impact of a century of racial separation in housing. We Gon' Be Alright is available in paperback, kindle, or audiobook, but we also recommend shopping local! InSURJent is an open book club who welcomes everyone. Even if you do not read this month's book, you are still welcome to participate in our discussion. Children are always welcome, but the conversation will not be censored.